The manual management of HR processes done by Ozvid was insufficient for the growing needs of their HR department. Ozvid sought a turnkey, automated solution to track and audit employees, leaves, payroll, appraisal, performance, recruitment, training, expense among many other tasks. Ozvid was also interested in a system that managed expenses and generated reports, along with the posting of company policies and managing documents. Evaluation of a variety of HR products and vendors did not provide the platform needed by Ozvid. Impressed by the online presence and options offered by jiWeb Technologies, Ozvid approached jiWebTech for a solution. jiHRM, an HR management solution provided by jiWebTech, is a highly flexible, feature-rich human resource management system serving thousands of users around the world. Ozvid took advantage of a free trial offered by us for 30 days. Commenting on its test run of the product, Ozvid notes, “jiHRM is an easy-to-use interface, is customizable to any length, and is affordable at the same time. The platform was stable throughout our rigorous testing." Commenting on the implementation of jiHRM, Ozvid notes, "It is a complete solution designed to enhance and speed up the HR processes. It offers guidance to avoid errors which could otherwise lead to financial loss. The modules of jiHRM are intuitive and easy to implement, however, skilled customer support is always available from our client support team. It offers an ability to perform analysis of several pertinent calculations with speed". 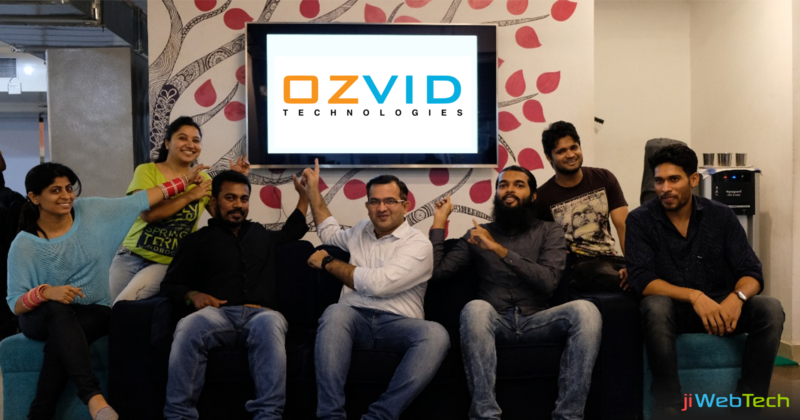 With a focus to deliver its services outside India, Ozvid Technologies required an HR management system to manage the increasing number of employees and to simplify the HR management processes. Electronic information improved the efficiency of storing and finding information that substantially benefitted the organization with a large workforce. It also saved a tremendous amount of time and helped to ensure that the best employee candidates are hired. Exploring solutions is important when organizations experience challenges in their HR environment. jiWebTech thrives on helping businesses of all sizes defining issues and developing flexible, cost-effective human resource solutions. We work hard to make your HR functions easier. Increase your efficiency and decrease demand for your time and budget. When you face an HR challenge, talk to our team at jiWebTech to get a free demo of our solution today.